Al-Akhbar newspaper reported on Monday that the Lebanese Broadcasting Corporation International (LBCI) Chairman Pierre Daher is hard at work at the company's Adma offices, all in a bid to choose the perfect set of new logos that are to become the novel image of the renowned Lebanese station. The daily also mentioned that LBCI is now almost ready to make the leap in both form and content, noting that the channel has decided to use colorful logos as a sign of reconciliation and openness mainly since most colors have become representative of Lebanese political parties. The advertisement showing the mix of colors will soon be broadcast on TV to mark the beginning of a widespread advertising campaign which includes a new LBCI logo. A new sophisticated news studio set up with high HD technique will also be used with content based on a much more open policy. 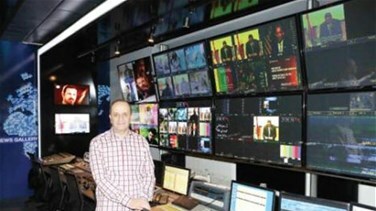 In this context, Sheikh Pierre Daher told Al-Akhbar newspaper that the digital system will be prioritized especially since HD technology provides high-quality viewership.